With any luck, I’ll be migrating the site to a new web hosting provider this week. At some point I’ll be disabling comments and posts on the blog, forums, and wiki so I can be sure we don’t lose any data during the migration. There will likely be a couple days during which the site will be down for brief periods as I sort out the configuration on the new server and the new DNS records propagate. Hopefully the disruptions will be brief and I’ll have things up and running 100% again by the end of the week. The details and timing of the migration are still being worked out, so stay tuned for updates. Update: Order processing should still function normally during the transition. As long as the product pages are up, you should be able to place an order. Update 2: I’m going to start the migration tonight, if the site behaves strangely – that’s why. Update 3: If you see this message, migration is complete and you are looking at the new site! Update 4: Some suspicious activity on the blog forced me to upgrade WordPress today (and do a bunch of other cleanup), so the site has been up and down today. It should be mostly working now, but I’ll probably be tweaking things off and on for the next few days. 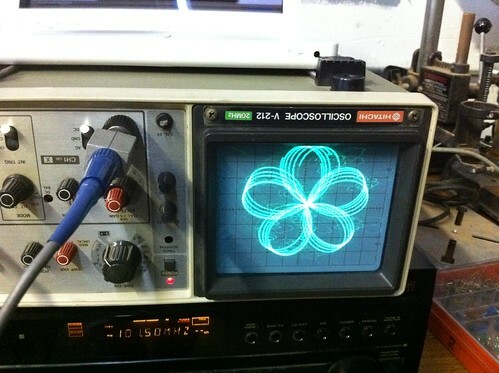 Update 5: Yes, the oscilloscope is upside down. It’s that way on purpose. Really.